(WASHINGTON) — The national debt has passed a new milestone, topping $22 trillion for the first time. It surpassed $21 trillion for the first time in history in March 2018. Under the Obama administration, the national debt grew from $10.6 trillion to $19.9 trillion, an increase that drew sharps criticism from Republicans. Keep in mind, Peter Schiff has been saying that a recession is already a done deal, so, it’s pretty foolish not to factor in that possibility. Here’s how the Financial Times summed it up. But how long can this keep up? Here’s a little perspective courtesy of the Financial Times. Perhaps the central bankers realize that there is no way the US government can continue this borrowing pace without the Fed monetizing the debt. What the US is doing is not sustainable. That means one day it will not be able to keep increasing its debt and a major price will be paid. National debt increases over $3 billion per day. What is a financial reset? Basically, some type of revaluation of currency and/or different type of currency according to various ones. Banks presumably would be closed for a time and there would be panic among many. This will be the end of the most indebted nation of all time–which is the USA–the USA will be destroyed as a nation–but that cannot happen for at least four years (for some details about that, see When Will the Great Tribulation Begin?). That fulfillment of Habakkuk 2:7-8 will force a ‘reset’ on the world, though various steps towards a reset will precede that destruction–including possibly currency revaluations and changes. 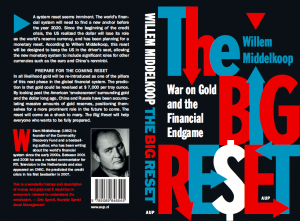 Presumably gold will be considered as a pillar backing up the new system–consistent with what Willem Middelkoop opined. The unlisted author of the above is correct that many in the ‘alternative media’ have speculated about a financial reset. The author, while not being sure, is correct that some believe that the Beast will dominate a ‘new world order.’ That is consistent with prophecies in Revelation, Daniel, and elsewhere. But it is not just the ‘alternative media’ that have speculated about a financial reset. Prophecy also points to a time in the next decade or so for the end of civilization as we know it. Jesus said “troubles” were coming (Mark 13:8). As it hits, we will have to deal with the largest twin bubbles in the history of the world. One of those bubbles is global debt, especially government debt. The other is the even larger bubble of government promises. These promises add up to hundreds of trillions of dollars. That’s vastly larger than global GDP. Interest on the national debt is the third largest component of our annual Federal budget—after social programs and military spending. In the most recent fiscal year, we paid $240 billion in interest on the national debt. Now, with the Fed hiking rates, interest costs are set to soar. The Congressional Budget Office estimates that every percentage point hike in rates will cost $1.6 trillion over the next ten years! The U.S. and/or European recession will become a global recession, as happened in 2008. As we get into the 2020s, the presidency and Congress will again be whipsawed, and we will begin to discuss Bernie Sanders’ “crazy” universal basic employment idea, or others like it. Yes, the Old Testament does mention a debt jubilee. Here is a link: Forbes 2020s Might Be The Worst Decade In U S History. As far as a debt jubilee goes, such a thing is biblical for individuals. Biblically, this was to be sounded by a trumpet every 50 years (Leviticus 27:16-24). But the Bible does not discuss national debt default occurring then. Plus now, foreigners and others owed money will NOT be pleased (cf. Habakkuk 2:6-8. Others have called for a debt jubilee, and I have reported about it before (see Trump signs new debt increase. Are Americans to soon demand a debt-cancelling Jubilee?). Now, there are a couple of points to consider. First, yes, I expect the USA to continue to increase its debt. The more it does this the more difficult it is to actually pay the debt back. And eventually, when interest rates rise enough that would devastate the US economy. But secondly, I want to focus on the possibility that the decade of the 2020s may end up being the worst in US history. Now let’s consider some other reasons that it is possible that the 2020s will be the worst in the history of the USA. Many early professors of Christ believed that God had given humanity 6,000 years to live on its own, no longer under God’s direct rule (see also Does God Have a 6,000 Year Plan? What Year Does the 6,000 Years End?). This was to be followed by a millennial kingdom of God and reign of Jesus (see also Did The Early Church Teach Millenarianism?). What does any of this have to do with the decade of the 2020s? While based on various calculations and estimates I am familiar with, there is a high probability that the 6,000 years will end in the latter half of that decade. That being the case, the Great Tribulation of Matthew 24:21, also called “the time of Jacob’s trouble” (Jeremiah 30:7), would begin in the decade of the 2020s. Now, some people believe that the 6,000 years are over. Some believed in the calculations from the 17th century made by a non-COG historian, James Ussher, who was the Anglican Archbishop of Armagh (in what is now Northern Ireland). 1) The first is that Ussher’s method did not seem to take into account the fact that sometimes a son began to reign in a kingdom before his father king died (which, for one example, is the case with Solomon, see 1 Kings 1:32-43), hence the official chronologies often counted both co-reigns (hence this could contribute to possible over counting by Ussher). 2) He made some errors in some of his calculations. 3) James Ussher guessed that Solomon built the Jerusalem Temple in 1012 .B.C., but it was likely decades later. 4) It is almost certain that the 6,000 years for humans to rule over themselves apart from direct contact with God began after Adam sinned, and hence left the Garden of Eden (cf. 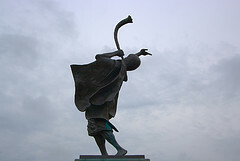 Genesis 3:24). It is possible that this could have taken from one day to twenty or so years–the Bible is not specifically clear on this point. Thus, even if some of Ussher’s calculations were accurate, there still would be time left as he did not really attempt to prove when Adam and Eve were put out of the Garden of Eden–he only attempted to calculate the possible year of creation based upon his own limited understandings of biblical chronologies and other historical indicators (at least one of which seems to have been in error). Therefore, people who rely on Ussher’s 4004 B.C. calculations to claim that the 6000 years are up seem to be relying on assumption as opposed to fact. Some who now point to Ussher do so to discredit the idea of a 6000-7000 year plan. But since Ussher was not completely accurate, this does not dismiss the basic concept. The best calculations that I am aware of point to the decade of the 2020s or 2030s for the 6,000 years to end (for details, see Does God Have a 6,000 Year Plan? What Year Does the 6,000 Years End?). Presuming it is up in the 2020s, this would be the worst decade in history for the USA and various other nations. the hour of trial which shall come upon the whole world, to test those who dwell on the earth. Now, if that hits in the decade of the 2020s, it will be a horrific time. 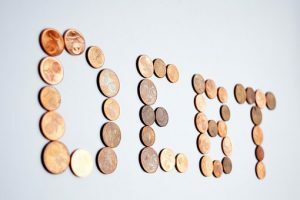 The rise of US debt was listed by me as number 11 of 19 items to prophetically watch in 2019 (here is a link to a related sermon: 19 items to watch in 2019). The Anglo-American world order will come to an end. Accumulation of debt, and then having to pay historically ‘normal’ interest rates will strain the national economies of the USA and UK more than almost anyone will believe. It will be a financial crisis beyond what John Mauldin and most others would consider possible. The idea that the debt does not matter is a false and arrogant belief. It is prideful arrogance that gets humans to think that they can essentially completely control the economy and just borrow and print up money. They cannot. Weather, political events, diseases, wars, morality, technology, and other factors play a role. The type of ‘reset’ coming will be horrific. If this fulfillment happens in the 2020s, could John Mauldin be correct when he wrote, “If we somehow get through all that, and particularly the Great Reset, the 2030s should be pretty good”? 5 “For thus says the Lord: ‘We have heard a voice of trembling, Of fear, and not of peace. 6 Ask now, and see, Whether a man is ever in labor with child? So why do I see every man with his hands on his loins Like a woman in labor, And all faces turned pale? This is a prophecy for the descendants of Jacob, which includes nations like the USA (see also Anglo – America in Prophecy & the Lost Tribes of Israel) which will be scattered during the Great Tribulation (for details, see also Will the Anglo-Saxon Nations be Divided and Have People Taken as Slaves?). Notice that the time of trouble will end. Americans, and others, will then serve the Lord their God. This will happen in the millennial Kingdom of God. This will be a time of abundance and prosperity. Presuming God’s Kingdom is established by or during the 2030s, it will be better than pretty good. Pray for the Kingdom of God to come (Matthew 6:10). Yet, expect troubles and tribulation before then (Mark 13:8-20). A ‘reset’ will be coming to the world. This entry was posted on Wednesday, February 13th, 2019 at 7:00 am	and is filed under Prophecy. ‘Another Day Older and Deeper in Debt’ — Reset coming in 2020 or later?